In spite of the troubles its parent company is facing in the global markets, Research In Motion, the makers of the popular BlackBerry smartphones, today said it will top industry growth this year in India. The parent Canadian company RIM, which has been fast losing its grip on the market of late to more agile players like Samsung and Apple, launched the BlackBerry Porsche, developed in association with Porsche Design, early this year globally. The phone is set to be launched here this evening. 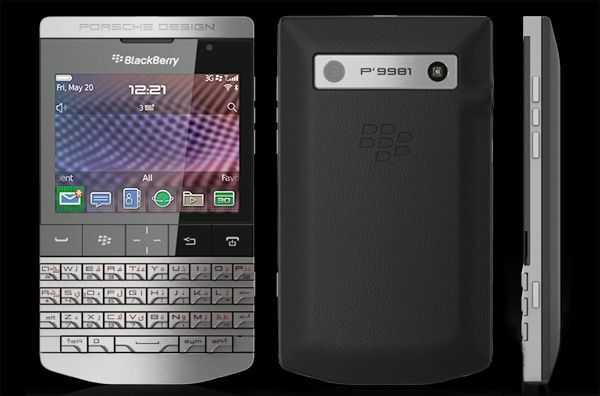 The ultra-premium BlackBerry Porsche P-9981 is priced at a cool Rs 1.39 lakh. On this highly aspirational phone, RIM India managing director Sunil Dutt told PTI that the phone is about power, style and aspiration. "We will not be selling this through the traditional channels. The discerning customers can order their phones to begin with and later on, we will have select outlets like luxe watch and accessories showroom located on the high streets," Dutt said, hours before the domestic launch. "The domestic smartphone market is growing at over 40 percent this year, after clipping at 87 percent in 2011. I am sure that we will be able to grow much faster than the industry rate," Dutt said, while refusing to put a number, citing the silence period the parent company is into now. He also refused to put a sales target for the new launch on the same grounds. 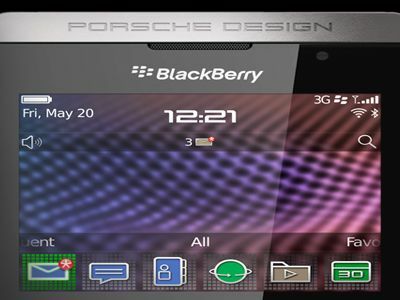 "The Porsche Design P'9981 smartphone from BlackBerry is a perfect culmination of style and functionality with exceptional look and feel," said Dutt.BlackBerry enjoys 15 percent of the smartphone market share in the country as of March 2012, up from 13 percent the previous year, which places it at the third slot after Nokia and Samsung, according to CyberMedia Research data. In 2011, the domestic smartphones market saw launch of 150 models.Smartphone shipments touched 11.2 million units in the year recording an annual growth of 87 percent. Nokia emerged as the leader in the segment with a 38 percent share followed by Samsung at 28 percent.On the rationale behind such a costly phone at a time when the overall sentiment is down, Dutt, who joined RIM India last December from Samsung Telecom, said the market can still afford luxury products. 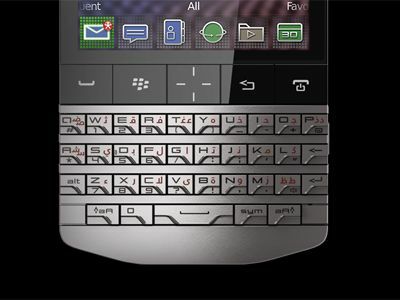 Some of the salient features of P'9981 are the design by Porsche Design that comes with forged stainless steel frame, hand-wrapped leather back cover, sculpted Qwerty keyboard, and crystal clear touch display.It also has an exclusive PIN that easily identifies the user as holder of this phone. It features a 1.2 GHz processor and liquid graphics technology, HD video recording, 24-bit high resolution graphics, advanced sensors, and built-in support for NFC (near field communications) apart from 8 GB of on-board memory, expandable to up to 40 GB with a microSD card.